We are thrilled to announce that Senior Stone Carving Tutor Nina Bilbey is the 2017 recipient of the Prince Philip Medal, awarded by the City & Guilds of London Institute. First presented in 1962, the medal is awarded to one annual recipient who has displayed outstanding individual achievement in science, technology and industrial development, or who has demonstrated exceptional proficiency in workplace skills. 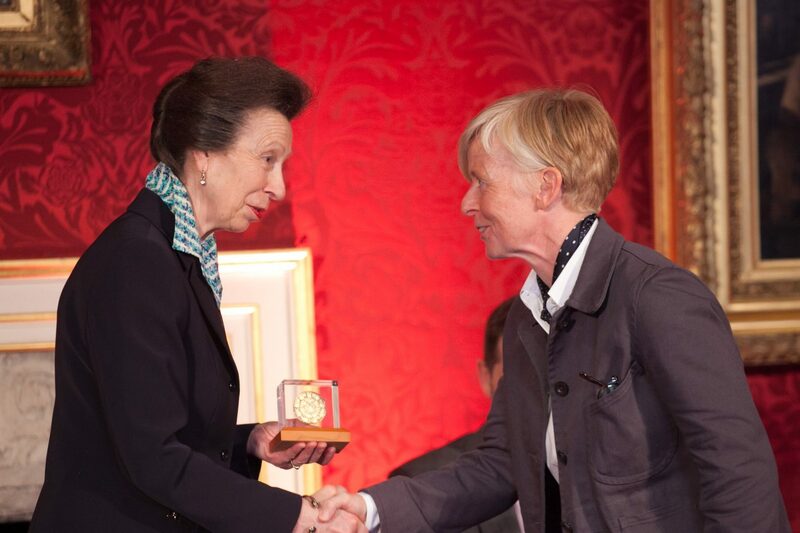 Nina was selected for her tremendous leadership as both a stone carver and teacher, and the award was presented by HRH Princess Anne at St James’s Palace on 8 June 2017. As stated in the ceremony proceedings: ‘As well as truly walking the City & Guilds path in her own right, Nina is continually helping many others to do the same. As a guardian of our historic buildings her work will stand tall for centuries to come and generations of craftspeople will follow in her footsteps guided by her inspiration and teaching.’ Indeed, this legacy was apparent elsewhere in the ceremony, as one of her former students Felix Handley (Diploma Stone Carving 2016) was awarded the prize from the Worshipful Company of Fishmongers. Nina has been an integral and inspirational part of the Art School community for many years and we wish her many congratulations on this worthy achievement. A wonderful article about Nina in Stone Specialist magazine can be found here.